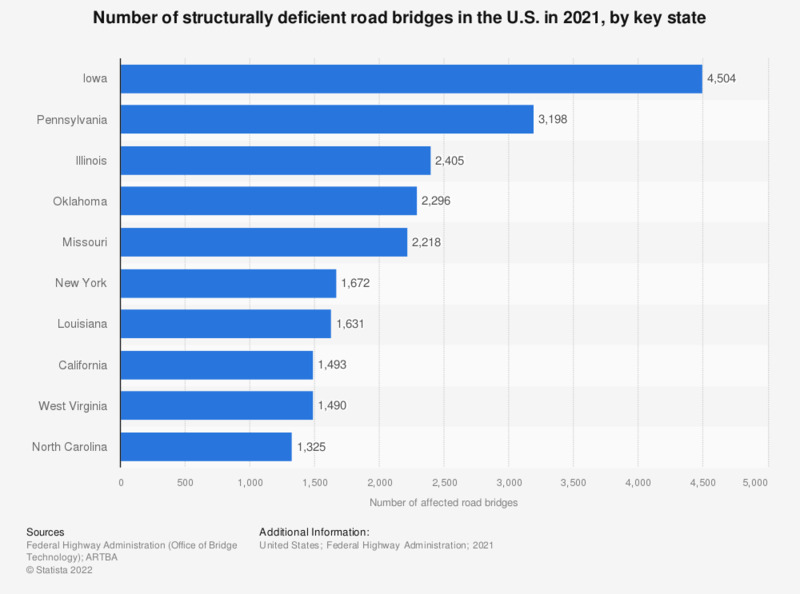 The statistic represents the number of structurally deficient road bridges in the United States in 2017, by state. In that year, there were over 4,500 structurally deficient road bridges in Pennsylvania. Bridges are considered structurally deficient if significant load-carrying elements are found to be in poor or worse condition due to deterioration and/or damage, or the adequacy of the waterway opening provided by the bridge is determined to be extremely insufficient to the point of causing intolerable traffic interruptions.